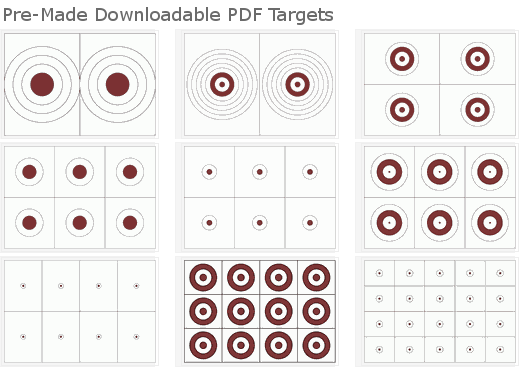 Stay away from targets with dark filled in bulls eyes or dark filled in circles. They’re hard to see bullet holes in even with a high-powered scope. Some shooters that use that of type target actually cut holes in their backers to allow light to pass through to expose the bullet hole in the dark paper. 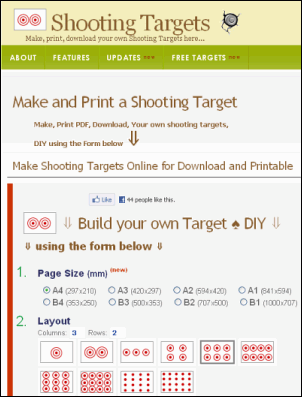 Using unfilled bulls eyes and circles improves visibility of shots on target and eliminates backer modification.